For over 35 years, J’s Cleaning has been the premier provider of cleaning services to Albany County, NY and the surrounding areas, including Duanesburg, Altamont, Esperance, Central Bridge and Schoharie. We are locally owned and operated, reliable, dependable and extremely flexible with our schedule to meet your needs. We take pride in our work and enjoy the long lasting relationships we create with our clients. We don’t always have time to give our homes the regular cleanings they deserve and even less time to deep clean, to purge our living areas of nasty, lingering microbes. At J’s Cleaning, we understand just home important a good cleaning is, which is why we strive to provide a wide array of exceptional home cleaning services in Albany County, NY to all of our customers, even when your schedule doesn’t permit it! We offer many different scheduled cleanings to fit your lifestyle constraints, including once a week, bi-weekly, tri-weekly and monthly options. 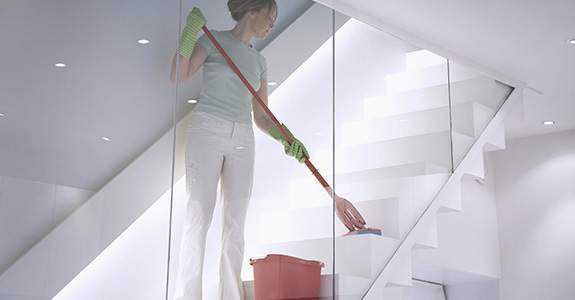 We specialize in real estate clean ups, to get your home ready for a new tenant or to show. We have 35 years of professional experience. All employees go through thorough background checks, for your safety and security. We’re happy to offer free estimates on all services to potential customers. We use HEPA filter vacuums for allergy sufferers, asthmatics and customers with COPD! We use eco-friendly and safe chemicals for your convenience!